The equivalent ‘Great Escape’ removal of soil from prisoners tunnelling activity down the POW trouser legs is almost complete. 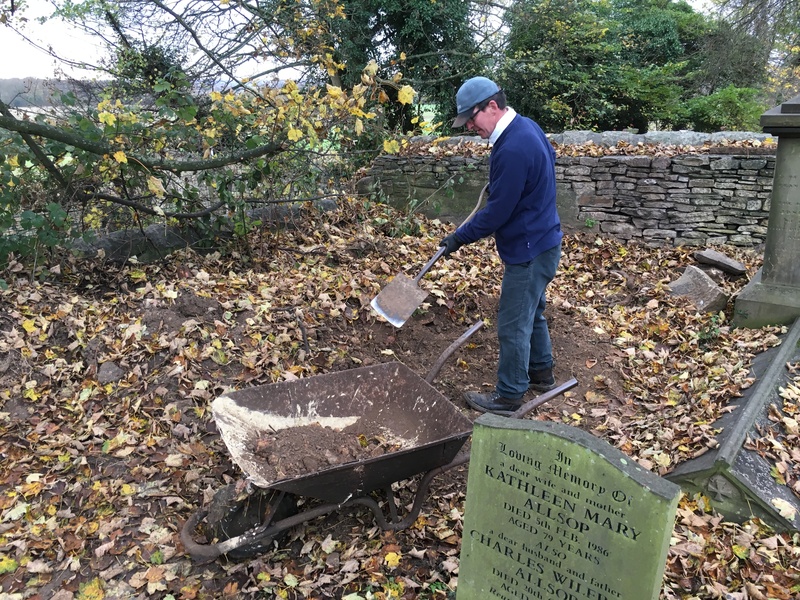 The relocation of a whacking great heap of grave spoil in the churchyard has now moved from one part of South Yorkshire to another. Actually it was moved 25 metres from where it was hiding to fill in a significant dip in St Helen’s graveyard. 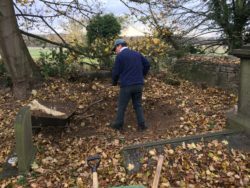 The team of stalwart volunteers firstly pickaxed the heap to loosen it (it had settled over some considerable years and was well on the way to forming granite) before being shovelled into wheelbarrows and carted to fill in the dip. A lot of stones emerged, understandably as the soil was dug from deep down in the subsoil when a grave was dug. Interestingly a few bones also popped up; human for the use of. Father Richard explained in another day at the office way that bones have a habit of doing this in old graveyards. No matter he would hold another funeral ceremony and pop them back where they belong. The relocation exercise was held every Monday morning for the past two months. Interestingly, in case this comes up at the Burghwallis Pub quiz, the team shifted around 250 barrow loads of soil and stone, or 20 cubic metres in case you’re asked. And now the dip in the eastern end of the graveyard is no more, tis flat as a pancake.